That said, the success of a star recruitment has great rewards. Bridging the gap between cultures to allow a person to contribute fully and quickly is an art. People are very different, finding their strengths isn’t always done in the first month, but if you succeed in supporting them well during their transition, your company has a lot to gain. Keep in mind that you may need to put more effort into your expat’s settling in period. A new position in a new country comes with challenges. Language, management style, interpersonal relationships, corporate structure and other things are some of the mysteries in a new country that they will need to tackle. Here are some tips for you to help them succeed. Be patient during the settling in period. In the beginning everything is new. While the Nordic countries have a great deal official documentation in English it doesn’t mean that it is easy for the expat to understand. You don’t have to be a foreigner to have a hard time with the sign-up form for medical services and child allowance and understanding the underlying reasons for the questions on certain forms. For expats that are highly skilled individuals, struggling with these practical things may cause a loss of self-confidence since they are not used to being helpless. It will be helpful to give your expat time and care to explain how things work, even on a very basic level. In this situation, your input is invaluable to the individual. The crucial thing is that your expat has energy and confidence to be successful in their work role. Understand that your expat my need help navigating their new personal landscape. While local staff will find it normal to keep things close to the chest and not mix work with life outside the office expats may find this unsettling. There are several reasons for this, and not all are due to culture. In many countries, business and private life are closely linked. Jobs are found through personal and family networks or alumni organizations. In some patriarchal cultures, the manager in the office is a person that they would naturally go to with concerns. Nordic managers, on the other hand, are not used to getting involved in personal issues. You must be prepared for how to handle this and, depending on how it affects the business, have some solutions. 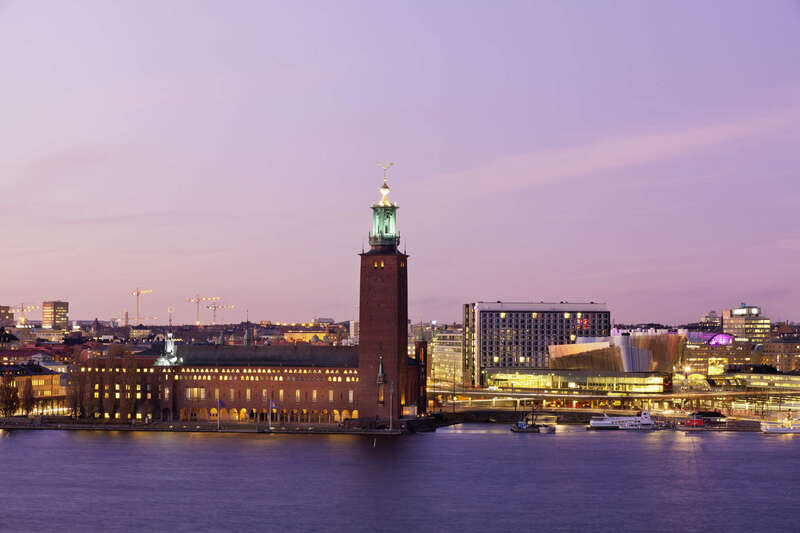 Have your Expat learn about Swedish office culture. This will greatly increase their chance of succeeding in their new country. There are several traits that make Swedes unique workers. We will name a few here. For starters, Swedes have a generally flat organizational office structure. Managers from countries where the leader decides and the information is given on a need to know basis will probably be met with resistance in a Swedish organization. Most major decisions at the office are made after a lengthy group discussion and majority vote. Also, Swedes feel very strongly about their work life balance. This might be difficult for your workaholic expat manager. Lastly, Swedes keep their social life more separate than some other countries. It is best if your expat knows this in advance. This will help them to not be insulted if they do not receive any after office hour social invites. Expats should be encouraged to join clubs and plan activities on their own until their office mates slowly warm up to them. These are just a few examples of how Swedish work culture may differ from your Expat’s home country environment. Coach your new employee on ways they can work well with their new team. This might include weekly check-in during the first few months. Time lost during this period will definitely earn back its merits with a fully integrated employee who is contributing to the team and respected by other team members. Make sure their family is on board with the move. If your expat has a family, be sure they are on board with the move. The expat’s family should be prepped on Swedish culture as well. Traveling spouses should be educated on the opportunities that await them for work and family pleasure. If possible, offer assistance to your new hire’s spouse. Helping the spouse find gainful employment as soon as possible is key to alleviate the burden of being a one income household in a country where both adults are expected to work in order to support themselves and possibly children. This help should be offered even before the recruit signs the contract so it’s, in fact, doable to move here. There are companies that specialize in spousal career support which is very helpful. Prep your expats to have patience with the process. Swedes are not in a rush. They take time to warm up to new people, they have no problem doing things themselves, even if it takes longer. Also, Swedes value their leisure and will let a project go to the next day if they feel they have been efficient within the work day. In general, the Swedish somewhat laid back nature might take a little getting used to. Help your expat to get a mentor either at home or in Sweden. Having someone who they can go to with questions about Swedish culture or general career inspiration can make or break a new expatriate. Upon their arrival have a few people they can go to for a variety of needs. Offer a stipend for initial deposits that are needed. Helping out with initial payments of deposits and the first rent is helpful not least when someone comes from a low-cost country and the deposit alone can be bigger than their yearly salary. People from many countries are expected to send money home to their families in the home country. They can need extra support during the home finding process so both the family at home and the expat's needs can be met. HR and Global Mobility Managers may have a challenge helping expats in addition to the myriad of other things that need to get done in a day. The rewards are certainly there though, and getting a multicultural team to work well together can be outstanding! It is our hope that if you follow these tips the relocation will run its course as smoothly as possible. If you’re planning to bring foreign talent to Sweden, navigating an unfamiliar, and often confusing relocation process can cause stress and delays. Thankfully, Nimmersion’s Relocation Guide How to Help your Talent Move to Sweden is here to help. Let’s get your new talent down to business. This checklist has great ideas on how to greet your new employee. It's a perfect tool for staying organized and supportive. Should Your Business Use Airbnb For Business Travel?